Chris Rodgers insists a glut of national titles are within reach if he can take the monkey off his back and claim a first. Yet again it was a case of so near, but yet so far as the Melton bowler, with clubmate Les Gillett, lost on the very last bowl of their men’s pairs semi-final last Thursday. It was the third time the Melton Indoor Bowls Club duo had lost in a national indoor semi-final, and the seventh semi-final defeat in all disciplines for Rodgers. While the Blackpool pair of Jonathan Goodall and newly-crowned double world champion Mark Dawes swept aside all-comers on their way to the title, the Melton IBC team were a whisker away from beating them before succumbing 13-12. “It was really frustrating,” Rodgers said. “In terms of getting to a national final you can’t get any closer than having the last bowl to win the game. “Anyone who spoke to me afterwards, wouldn’t have got any sense – you just get tired of putting all that effort in all year and getting so close. The Melton pair have built a formidable partnership over many years, but switched positions for these finals, with Rodgers skipping and world number 12 Gillett leading for the first time. 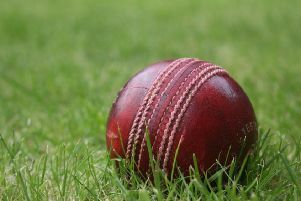 They eased past Grattons in round one 23-11 before shading City of Ely 16-15 in the quarter-finals to set up a showdown with Dawes, a bowler bang in form. “He was nothing short of outstanding to start with,” Rodgers said. “You could tell he was buoyed by those world titles. “From a tactical sense it was tricky to know how we were going to outwit him. “But there was nothing in it all the way through and we were one shot up with two ends to play. With the tension growing among the home support, the reality dawned on Rodgers that once again his attempts to reach a maiden indoor final would go down to the wire. He added: “We went into the last end one down, but with the advantage of having the last bowl of the game. “Les had a fantastic tournament and played really well, but when I went to play my first bowl we were two shots down and in quite a precarious position. “With two left, Mark speculated and got a really good result, but I got in there with my third bowl. The cruel manner of defeat was nothing new, but was a particularly chastening end to his most consistent season indoors. Rodgers also reached the national last 32 in the Champion of Champions as well as the last 64 in the singles and two-wood singles despite being in one of the most competitive qualifying regions. The consistency was scant consolation, but Rodgers believes that perseverance and hard work will finally bring their rewards. “We literally need just one lucky break to get us on the honours board,” he said. “A lot of bowlers will say they will go along to the nationals and see what happens, but I enter all of my competitions with the genuine belief that I can win them. “When one comes I believe they will then flood in; I’ve seen it with other bowlers who have been in the same boat. And the upcoming outdoor season gives Rodgers a swift chance to plot his next move at a national pairs title, with Holwell Sports clubmate Neil Hope. The pair hope to go one better, having reached the final once before only to lose out, typically, on the final bowl.